Mountain Shadow Morning: Beauty: Obsessed with Ombre. Every so often, I start craving a bit of change. It's almost always subtle - a new haircut, new wall art or a reorganization of my apartment. And currently, I'm in need of something new. And I know just what that is. Once I saw these photographs, I fell. 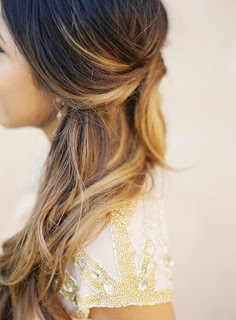 Deeply, madly, truly in love with the ombre hairstyle. Natural, effortless and sun-kissed, I think I need it. What are your thoughts on the ombre style? Should I go for it?